"It is clear that there are no fetters on the power under Section 391 Cr.P.C. of the Appellate Court." The Supreme Court, in a judgment delivered on Friday, explained the scope of power of the Appellate Court to allow the application for adducing further evidence in criminal cases. 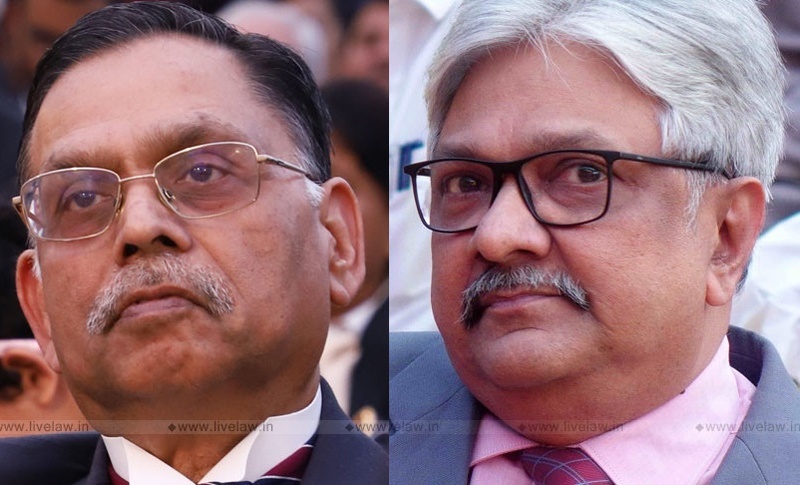 The bench comprising Justice Ashok Bhushan and Justice KM Joseph, allowed an appeal against the High Court judgment which had upheld the Sessions' court order rejecting the applications filed by the accused- appellant under Section 391 of the Code of Criminal Procedure. Brig. Sukhjeet Singh, a retired Brigadier of Indian Army and a recipient of Maha Vir Chakra in the 1971 war, was convicted by the Trial Court in a 'cheating' case. He filed Criminal appeal before the Sessions Court and also moved an application under Section 391 Cr.P.C for placing on record a Trust Deed. The Sessions Court dismissed this application. The High Court, dismissing the challenge against this Session's court order, observed that the applications filed at a belated stage appear to be with some ulterior malafide motive or for delaying the decision of the appeal to eternity. Brig. Singh approached the Apex Court. It is clear that there are no fetters on the power under Section 391 Cr.P.C. of the Appellate Court. All powers are conferred on the Court to secure ends of justice. The ultimate object of judicial administration is to secure ends of justice. Court exists for rendering justice to the people. When it becomes necessary to take additional evidence, cannot be enlisted or enumerated in any fixed formula. It depends on facts of each and every case to come to a conclusion as to whether it is necessary to take additional evidence or not. When Statute grants right to appeal to an accused, he has right to take all steps and take benefit of all powers of the Appellate Court in the ends of the justice. In a criminal case Appellate Court has to consider as to whether conviction of the accused is sustainable or the appellant has made out a case for acquittal. The endeavour of all Courts has to reach to truth and justice. On facts, the bench concluded that the Trust Deed and the Resolution, which are foundation and basis for the start of the process of the sale of the land were documents, ought to have been permitted to be proved to arrive at any conclusion to find out the criminal intent, if any, on the part of the appellant. Allowing the appeal, the bench set aside the High Court and Sessions Court order and directed the Appellate Court to receive the additional evidence and decide the appeal expeditiously.